A few months ago the Landmarks Preservation Commission added the Engineers' Club building, now known as co-op residence Bryant Park Place, at 32 West 40th Street, to their list of New York City landmarks. In very good company, this Beaux-Arts clubhouse is flanked on either side by the Radiator Building and the Scientific American Building, built in 1924 and 1925, respectively. 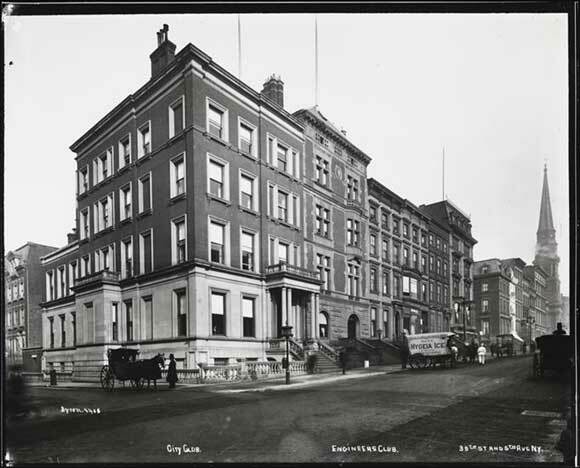 The Engineers' Club was formed in 1888 to unify a profession growing in significance and numbers throughout the city. 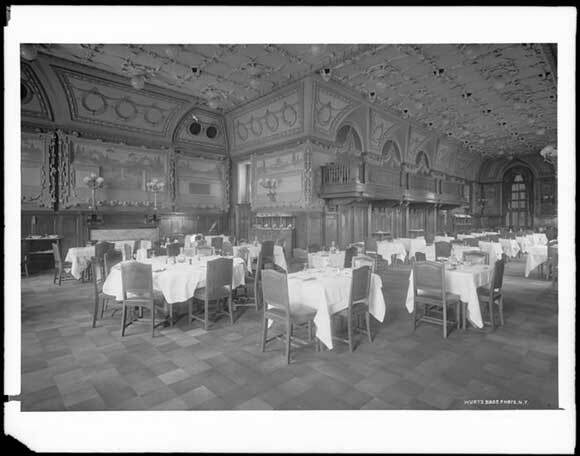 By the early 1900s, the club outgrew it's former location at Fifth Avenue and 35th Street, and club member Andrew Carnegie made an initial donation of $1 million to erect a new building. Shortly after, he raised the amount to $1.5 million, to facilitate the construction of the Engineering Societies' Building, one block over on West 39th Street. The two buildings would connect on the ground floor, and have entrances on both 39th and 40th Streets. Six well-known architects were invited to submit plans, and were each paid $1,000 for their submissions, whether they won or not. The small firm Whitfield & King beat out a few much larger firms, among them Carrère & Hastings, and won the contest to design and build the Engineers' Clubhouse on 40th Street between Fifth and Sixth Avenues. 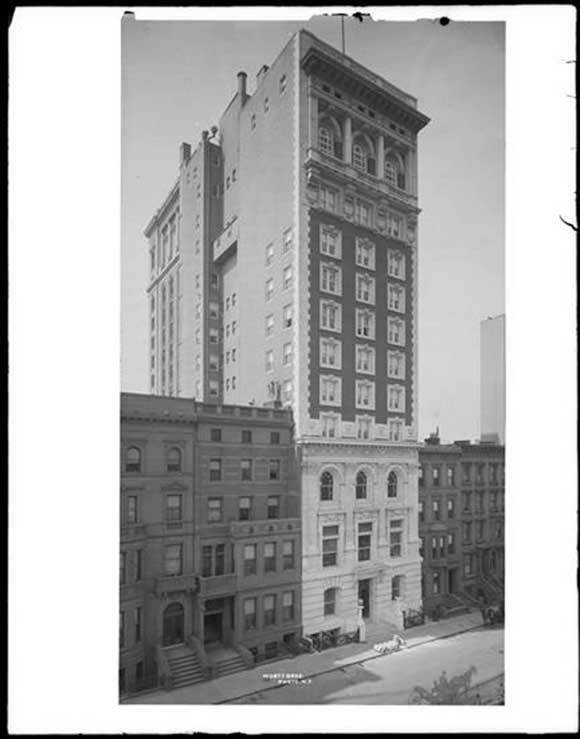 Another firm, Hale & Rogers, was chosen to design and build the Engineers' Societies Building on 39th Street. (Incidentally, Cargenie's wife, Louise Whitfield Carnegie was the sister of winning architect.) The firm also built the Carnegie building in Troy, NY. This 12-story Renaissance Revival clubhouse was completed in 1907, and was thought to be one of the most luxurious buildings of it's kind. Notable club members included Nikola Tesla (In 1917, a dinner was held in the adjoining building at 33 West 39th Street, in his honor after receiving the Edison Medal), Thomas Edison, Andrew Carnegie, and H.H. Westinghouse. The building featured public and social spaces, as well as 66 sleeping rooms. Tesla was very fond of pigeons, and often fed them in adjacent Bryant Park on a favorite bench near the corner of Sixth Avenue and 40th Street. The Engineer's Club sold the building to developer David Eshagin in 1979, and it was converted into a co-op in 1983. Both buildings were added to the National Registrar of Historic Places on August 30, 2007. 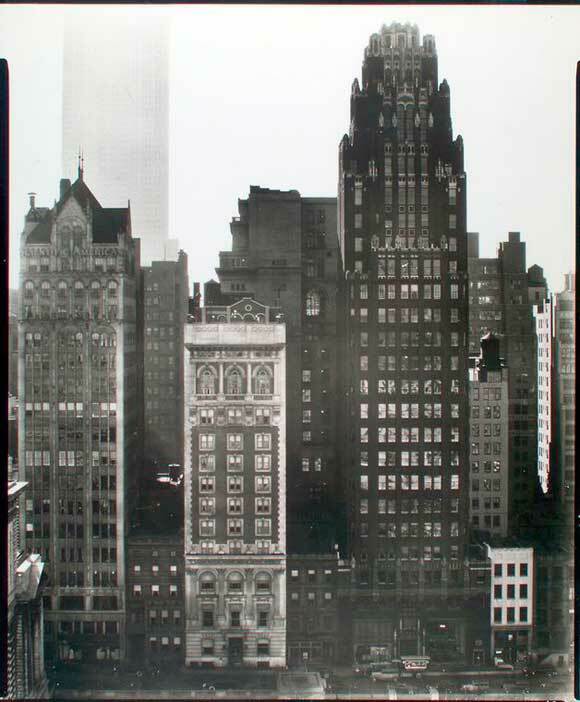 ** All photos are from the MCNY digital collection.